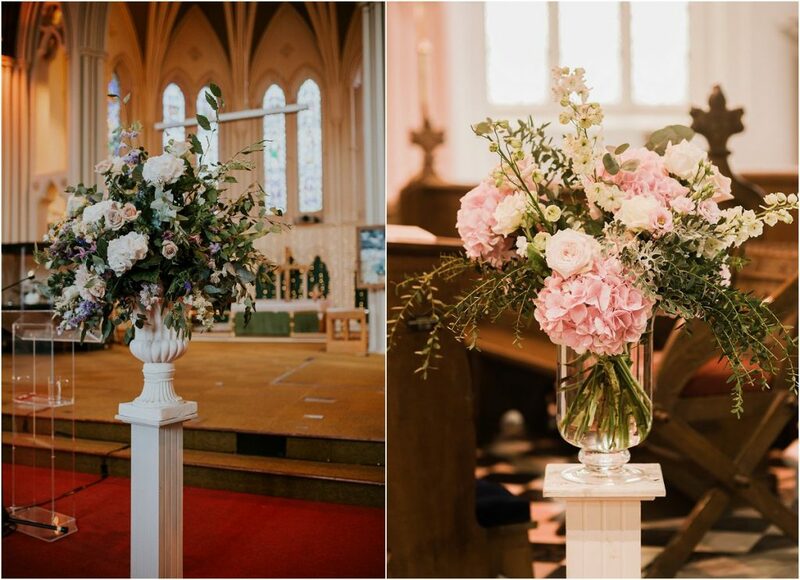 Are you trying to choose church flowers for your wedding? 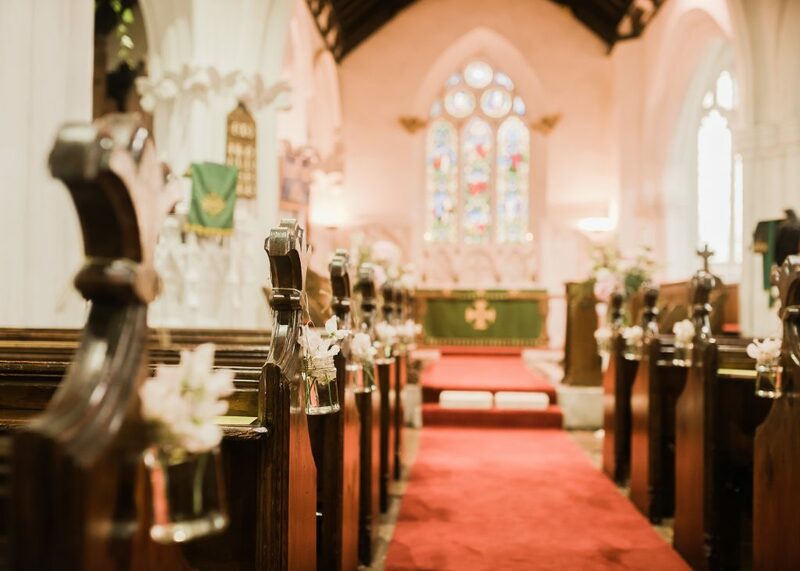 Most couples want arrangements that suit both the ambience of the church and their personal wedding style. So, what are your options? Churches are often very ornate, so impactful arrangements are a must. Urn arrangements or vase arrangements placed on pillars work well at the altar. These can be relocated to your reception venue after the ceremony. Church pews always look lovely decorated. It’s worth making a note of the type of seating in your church (i.e. pews or chairs) and any attachments for floral decorations. This will help me tell you which type of floral arrangements will work best. Hand-tied posy arrangements fixed with ribbon or small hanging jars are always beautiful. These can also be moved from the church to your reception venue after the ceremony. 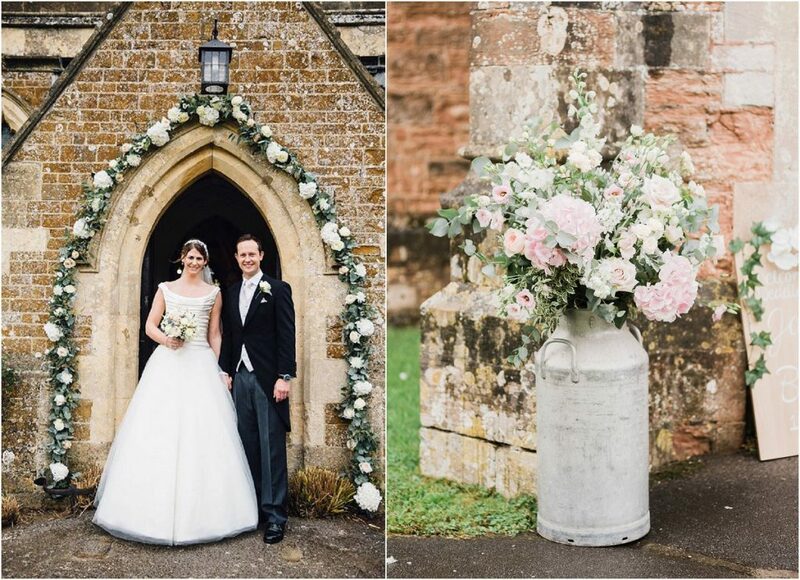 Decorating the church entrance creates a beautiful backdrop for photos. If your church has an archway, I can make this look particularly special. 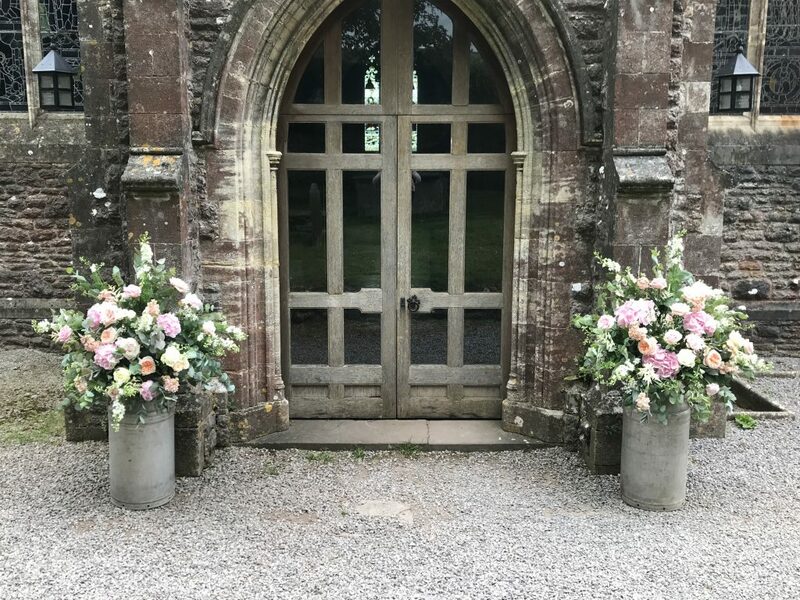 If you decide against an arch arrangement, milk churns or urn arrangements can also be placed either side of the church entrance. Once again, these are easily moveable. 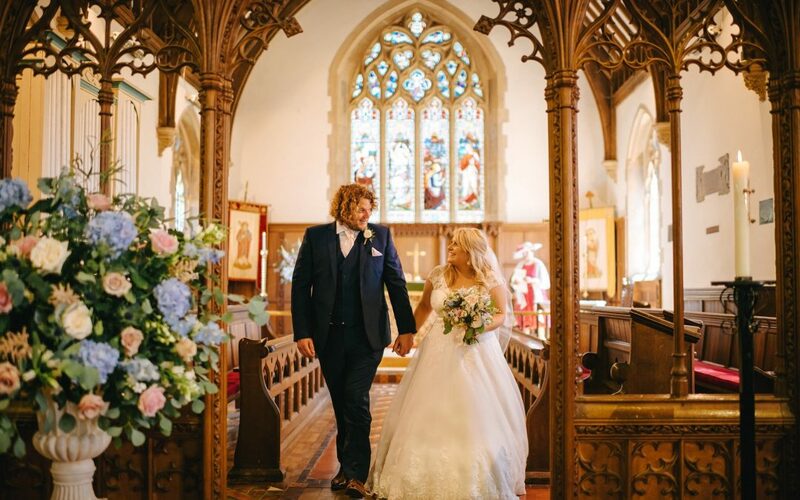 I’d love to chat about church flowers for your wedding, so do get in touch if you have any questions. Image 5 – Taken by me.